You may be thinking about employing a Middlebury College student to work in your department this summer. What a great opportunity for both you and the student! The student can learn important skills (or enhance those they already have) that they will use throughout their life – customer service, time management, conflict resolution, verbal and written communication skills, and so on. The deadline for Summer Housing and Employment Agreements is fast approaching. All summer employment documents are due April 18th by 5PM. You can find the necessary documents here. The Student Employment Office Web page has been updated to reflect this summer’s procedures and policies. You can view summer 2018 information and timeline by clicking here. Please familiarize yourself with these policies so you are well informed and can provide information to the student(s) you hire. This entry was posted in Midd Blogosphere and tagged Midd News & Events, Midd Points, Student Employment, summer on April 16, 2018 by Samantha Flint. This entry was posted in Midd Blogosphere and tagged For Faculty, For Staff, Human Resources, Midd Points, Student Employment, summer on February 15, 2018 by Samantha Flint. All positions that are hiring new students (with the exception of Research Assistants) are posted online. Having a central place for students to go in their search for on campus employment will allow them to view the position’s description, provide a clear outline of the process by which students are considered for a specific position and will ensure equal access to employment opportunities. See Using PeopleAdmin in the Supervisor Tool Box at go/seo for instructions. Postings will be made visible to students on September 4. The week before classes begin and during the first two weeks of school, students that have been awarded Federal Work Study funds or a College Job as part of their financial aid package will have the chance to apply for posted jobs on campus. All other students must wait to begin applying until Monday, September 25. The intent is to assist students with a demonstrated financial need to obtain a job that best meets their needs. (Yes, it is okay to ask a student if they received Federal Work Study or a College Job.) If you are rehiring a student that has worked for you previously, or for research purposes, financial aid status is not relevant. Student employees MUST complete the federally required I-9 Employment Eligibility Verification form and a W-4 tax withholding form in order to work. Once these forms have been completed (this only needs to be done once!) the student will receive a blue employment card indicating that they are eligible to work for the College. Blue cards, once issued, are valid until the student graduates. Students that have NOT received their blue card CANNOT work. All, non-research assistant, position openings must be posted in PeopleAdmin. Supervisors are also encouraged to utilize PeopleAdmin’s Applicant Tracking module which allows students to apply online to a posted position. Student employees are limited to working no more than 20 hours per week in on-campus jobs during the academic year, with the exception of full-week recesses. Supervisors who opt not to use the Applicant Tracking module in PeopleAdmin will need to complete an Electronic Personnel Action Form (EPAF) in BannerWeb for all students hired to work during the academic year. Supervisors who opt to use the Applicant Tracking module will only need to EPAF new hires, returning students who did not work the prior year or are not returning until after the fall term, and returning students who have been promoted to another position. The Jobs Effective Date in the EPAF should be the first day that the student will begin working in the ’17-’18 AY; this must be 09/11/2017 or later. Certain positions require pre-employment screenings and/or PCI Training as identified in the position’s job description in PeopleAdmin. Any offers of employment for positions that require pre-employment screenings and/or PCI Training are contingent upon their completion. Students may NOT begin working until all required pre-employment screenings and/or trainings have been successfully completed. Supervisors are encouraged to hire only financial aid recipients until September 25. For more information go to: http://www.middlebury.edu/offices/business/seo/toolbox. Feel free to call x5377 or email seo@middlebury.edu with any questions! This entry was posted in Midd Blogosphere and tagged For Faculty, For Staff, Midd Points, SEO, Student Employment on August 14, 2017 by Jenna Quenneville. If you are hiring a Midd student to work this summer, a 2017 Summer Student Employment & Housing Agreement must be submitted to the Student Employment Office by 5 pm on April 19 (even if the student does not need on campus housing). If you are hiring a research assistant, the Summer Research Assistant Form is also due April 19. This is in addition to the 2017 Summer Student Employment & Housing Agreement. Please visit the Summer Employment section of the SEO’s website to view summer procedures and policies. You can access all necessary forms there. If you or your student employees have any questions, please don’t hesitate to contact the Student Employment Office at x5377 or seo@middlebury.edu. This entry was posted in Midd Blogosphere and tagged For Faculty, For Staff, Midd Points, Student Employment, summer on April 5, 2017 by Jenna Quenneville. 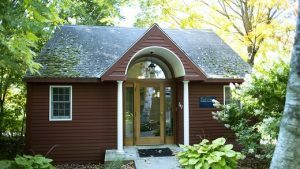 The Student Employment Office Web page has been updated to reflect this summer’s procedures and policies http://www.middlebury.edu/offices/business/seo/summer. This entry was posted in Midd Blogosphere and tagged For Faculty, For Staff, Midd Points, Student Employment, summer on February 13, 2017 by Jenna Quenneville. The Student Employment Office is offering another Student Employee Supervisor Training session on Wednesday, December 14th from 2:00 – 3:00 pm in Axinn, room 232. Information will be provided on recruiting, hiring and managing student employees. There will be time after the session for those interested in walking through the EPAF process for hiring students, as well as using PeopleAdmin to post position openings. All student supervisors are encouraged to attend one of these sessions. Please email seo@middlebury.edu to sign up. Space is limited but more sessions will be offered in the future. This entry was posted in Midd Blogosphere and tagged For Faculty, For Staff, Student Employment on December 5, 2016 by Jenna Quenneville.